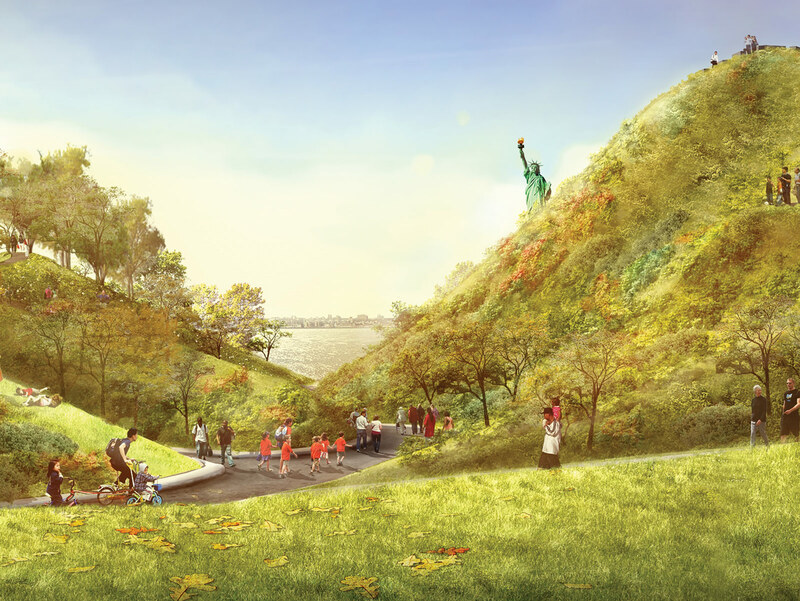 On April 9, 1776, General Israel Putnam of the Continental Army fortified Governors Island with mounds of earth to stave off the encroaching British Army. 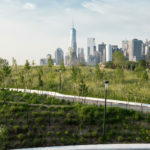 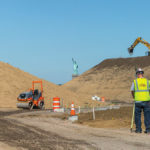 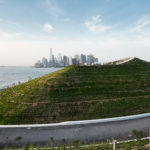 Now, Dutch firm West 8 Urban Design & Landscape Architecture and local landscape architect Mathews Nielsen are essentially emulating Putnam’s plans to create an undulating, playful topography. 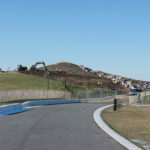 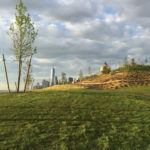 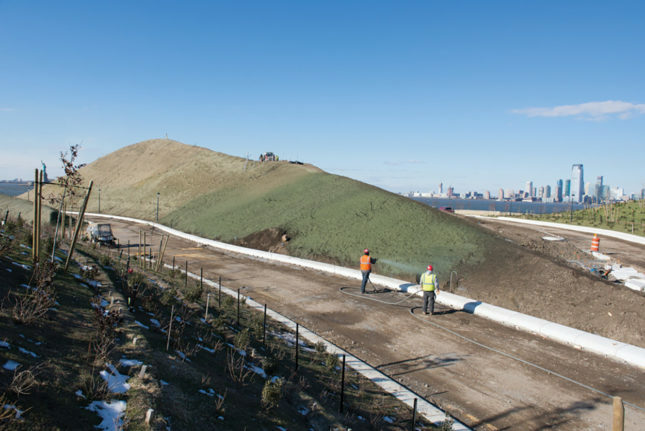 Known as “The Hills,” the project comprises four mounds made using recycled construction debris that form a rolling landscape with grassy slopes. 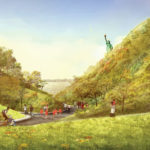 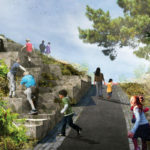 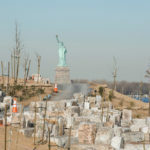 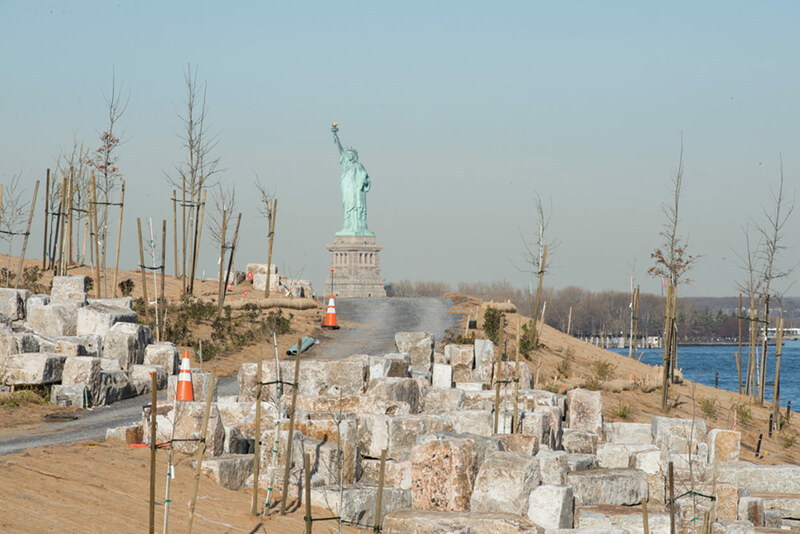 Rising up to 70 feet, the tallest, “Outlook Hill,” will offer panoramic views of the Statue of Liberty, New York Harbor, and all five boroughs. 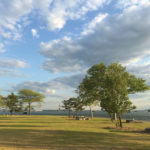 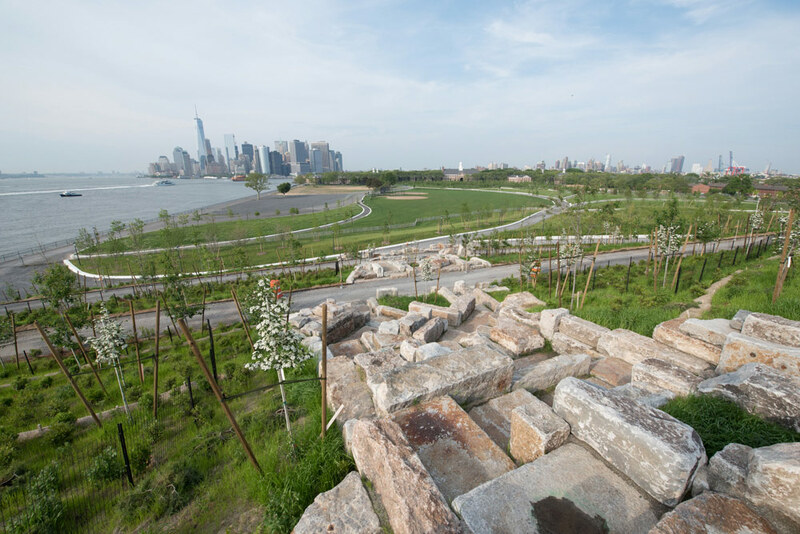 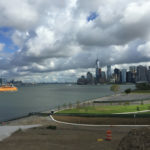 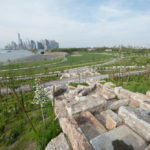 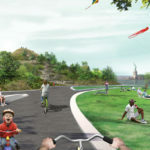 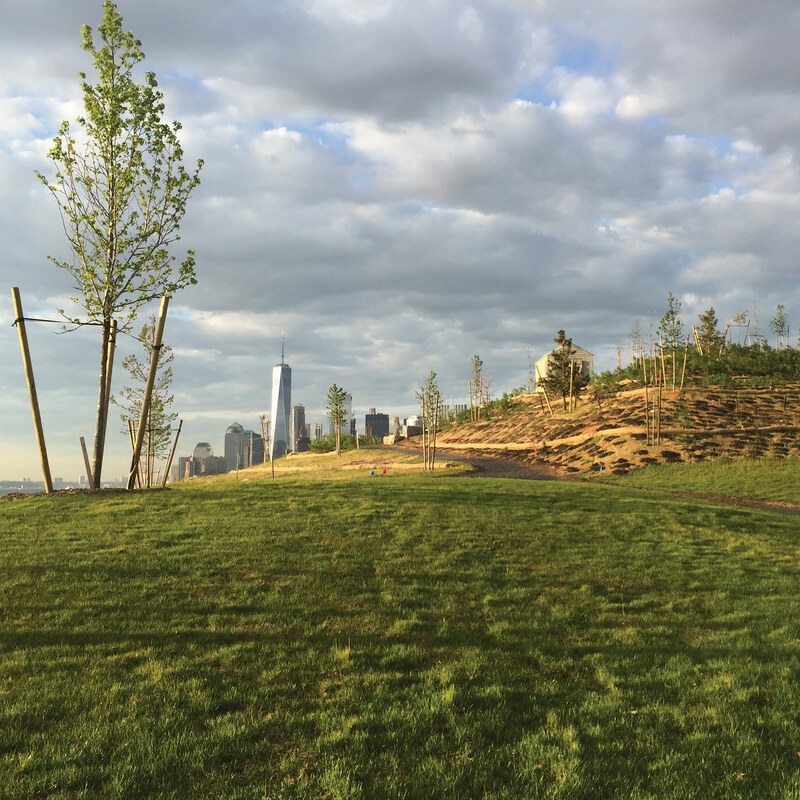 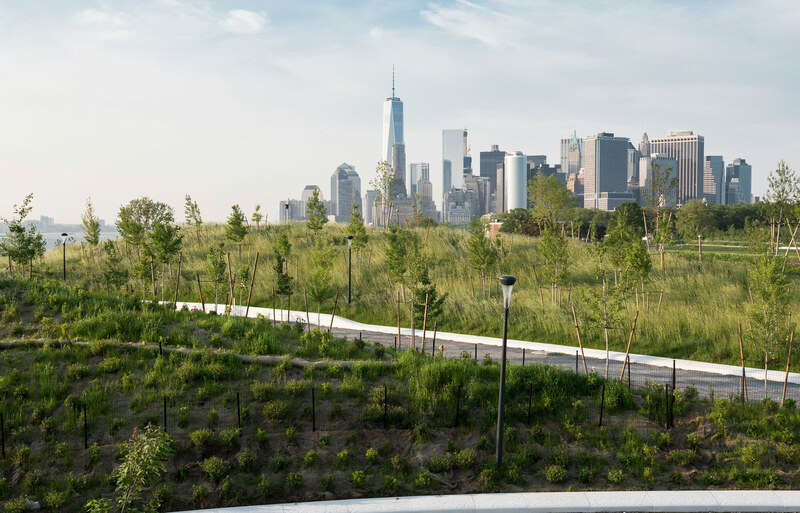 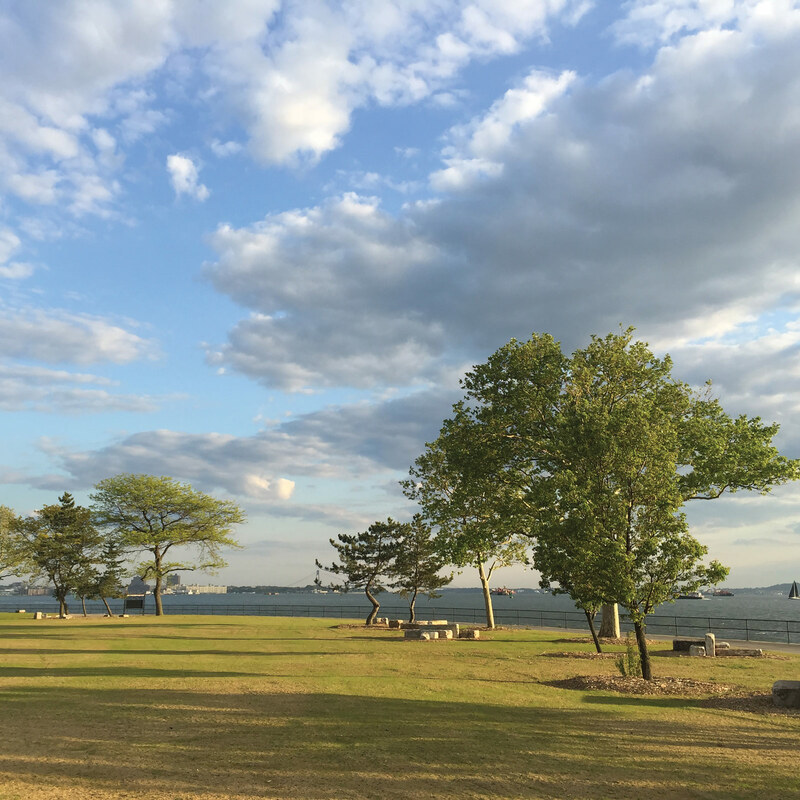 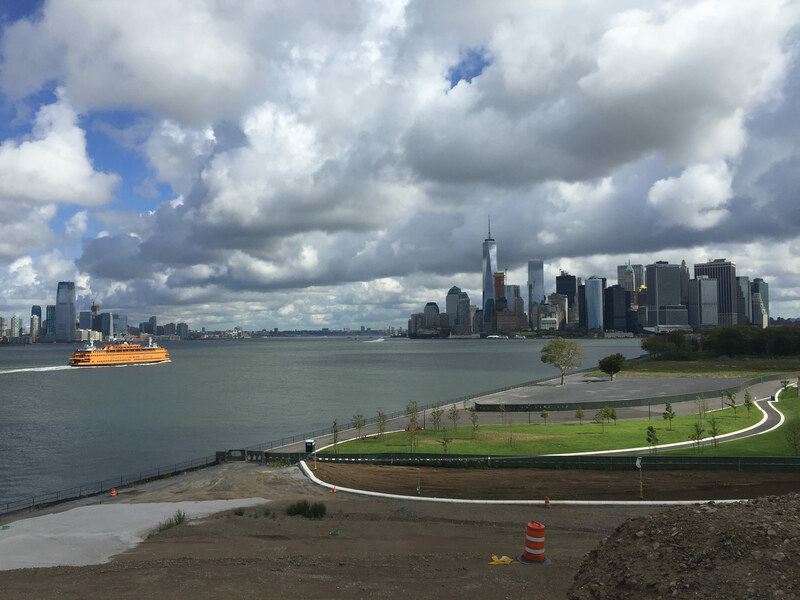 The project is part of West 8’s master plan for the Governors Island park, encompassing 87 acres. 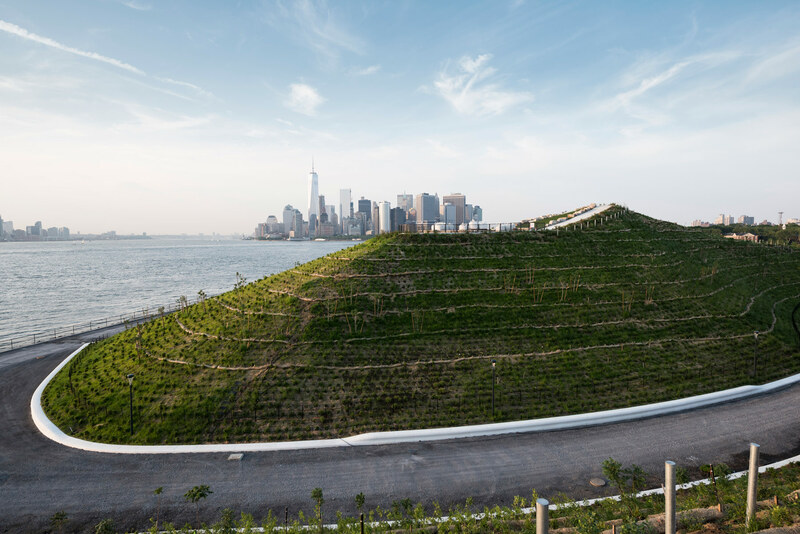 The Hills adds 10 acres of greenery to the island, including 43,000 shrubs and more than 860 trees. 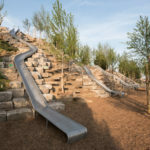 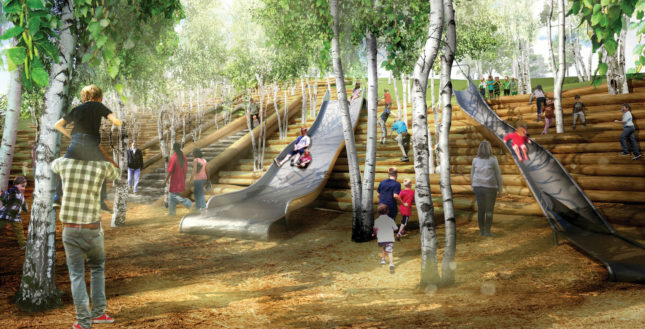 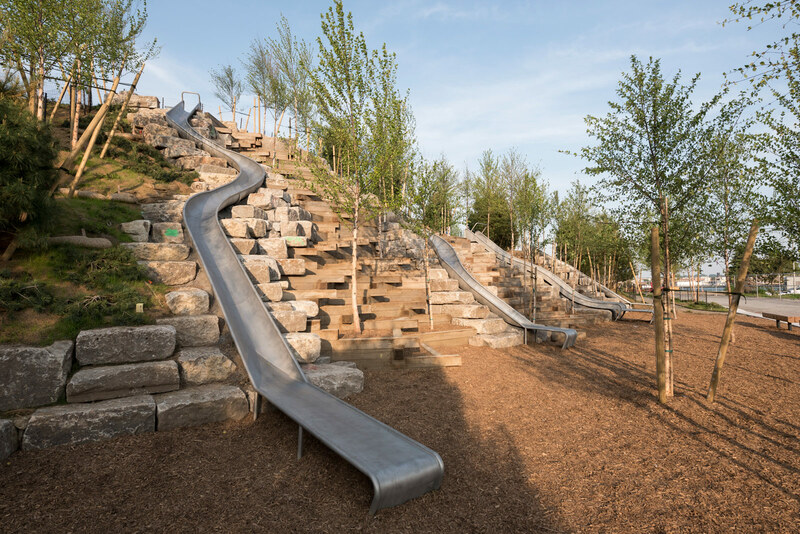 At 38 feet high, the aptly named “Slide Hill” will feature four slides, one of which will be the longest in the city. 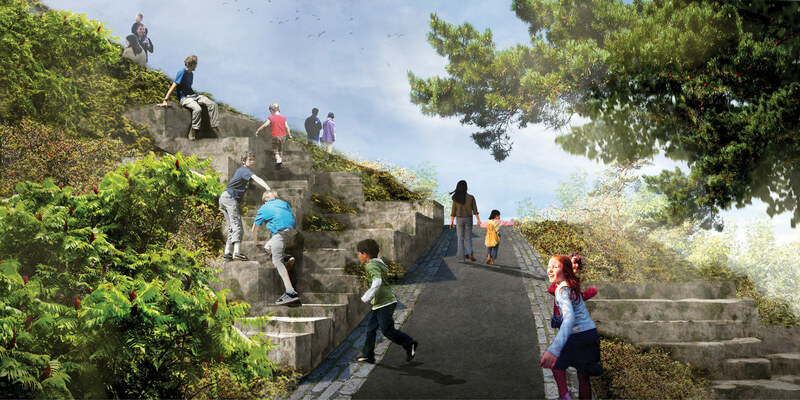 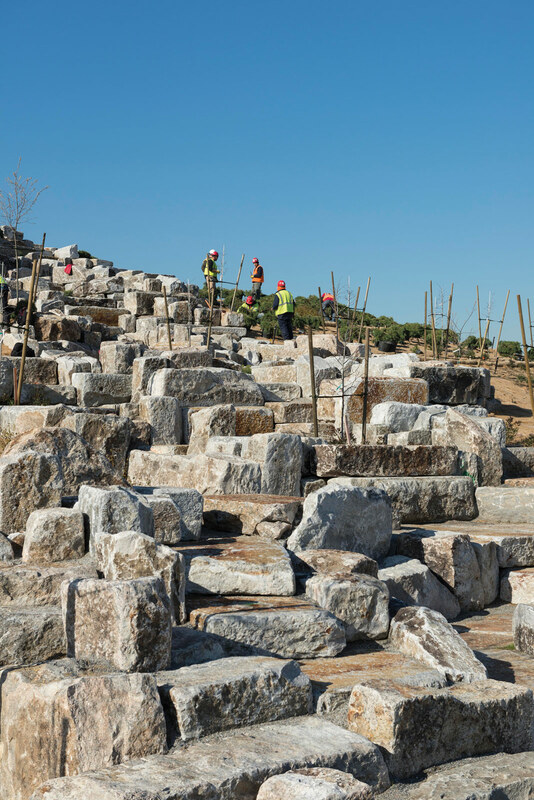 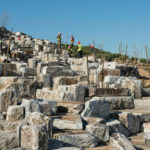 A “granite scramble” will also run through the site using blocks that once made up the island’s seawall. 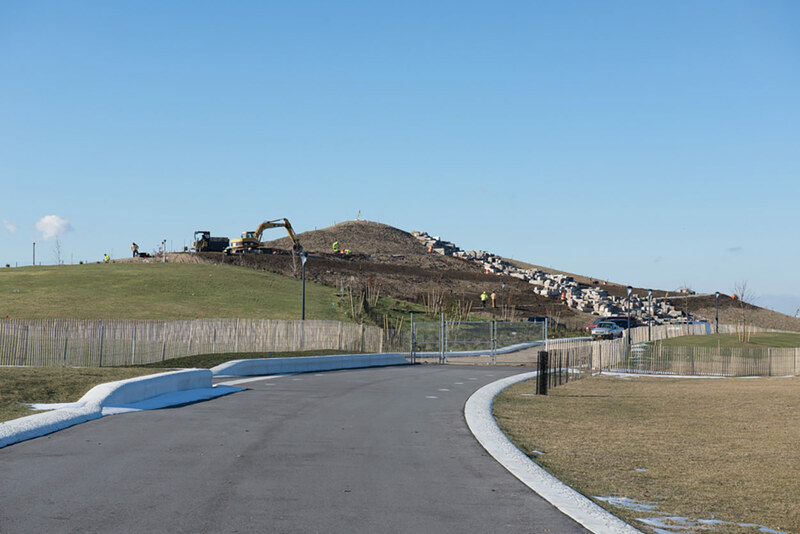 The scramble will link with other paths on “Discovery Hill,” which will be lined with a series of site-specific artistic installations.